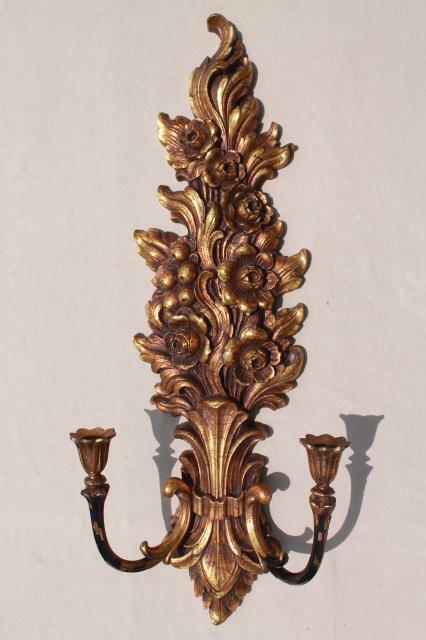 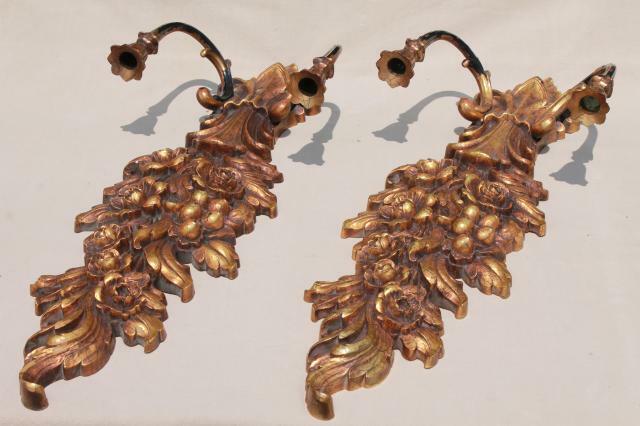 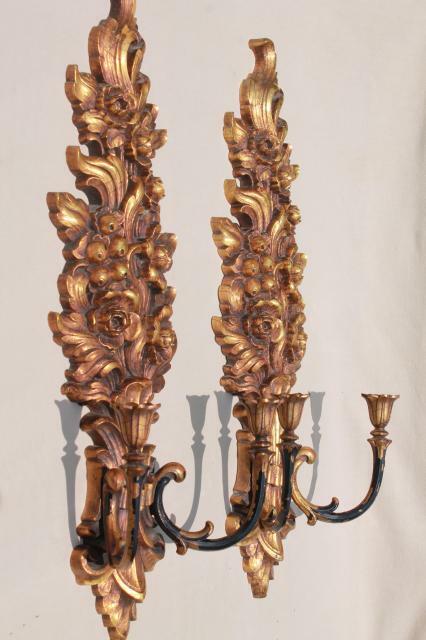 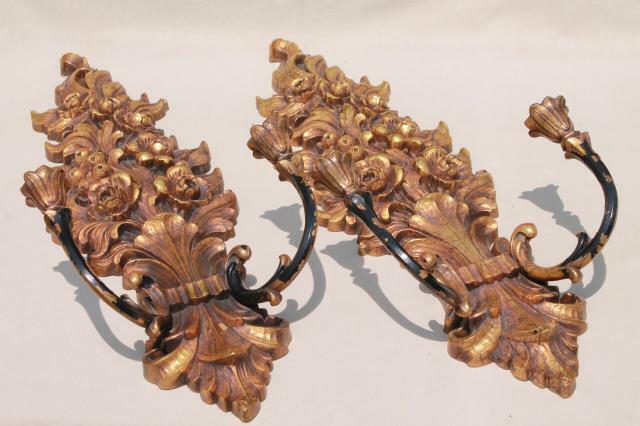 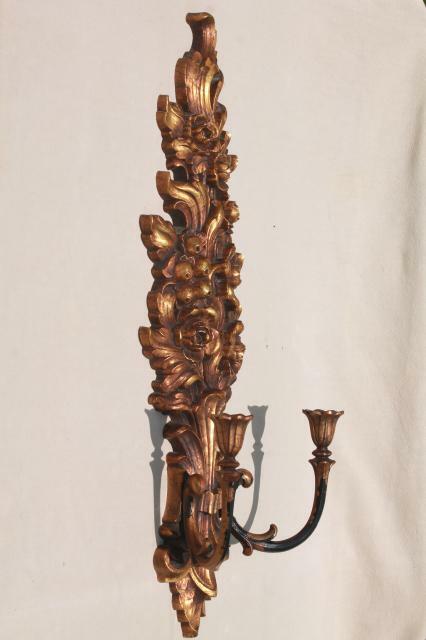 Retro gold rococo plastic candle sconces, 1970s vintage Syroco. 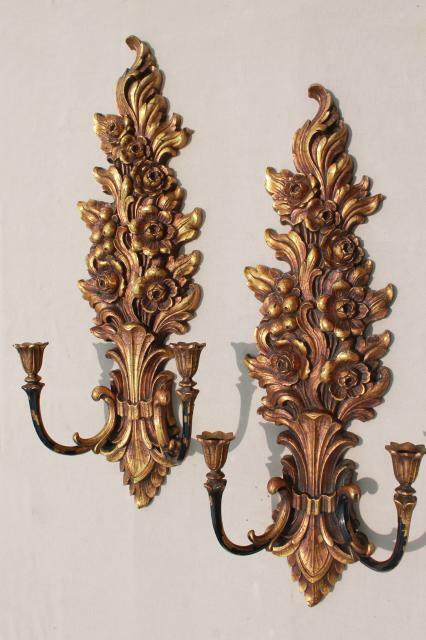 These measure about 27" long x 10" wide. 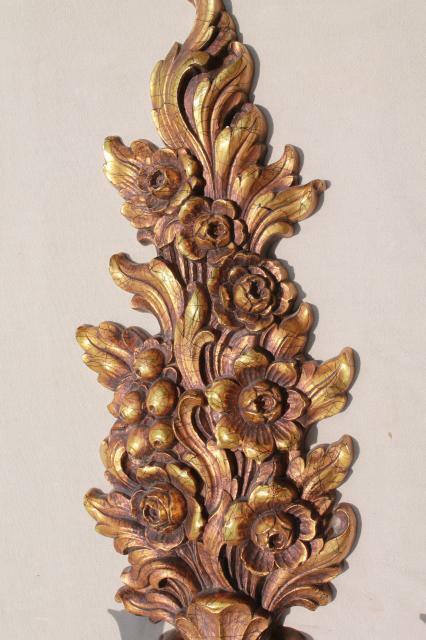 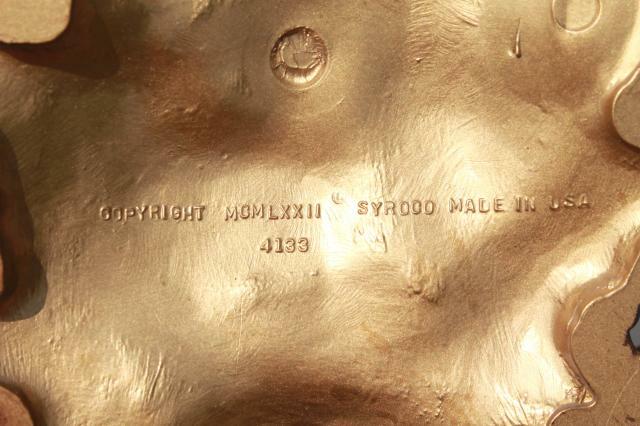 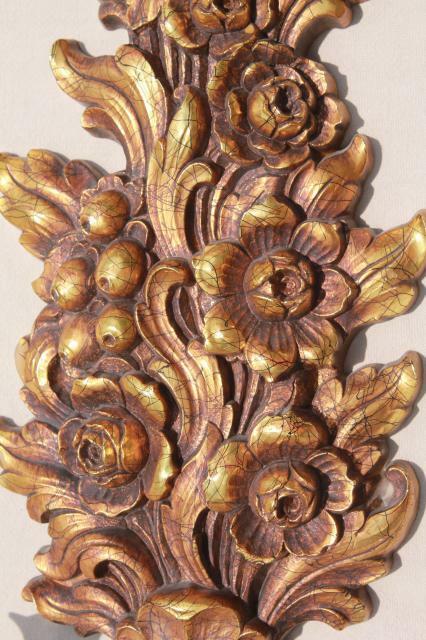 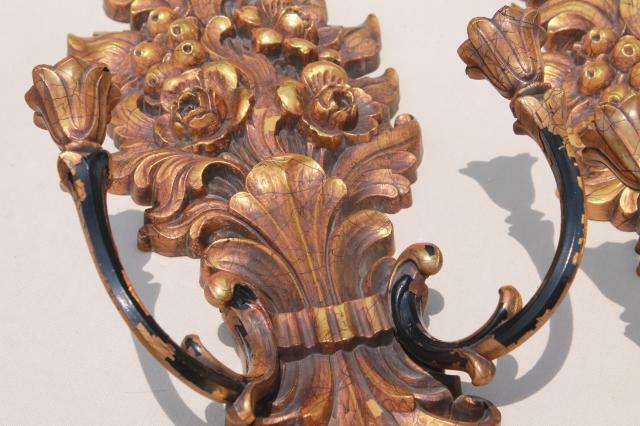 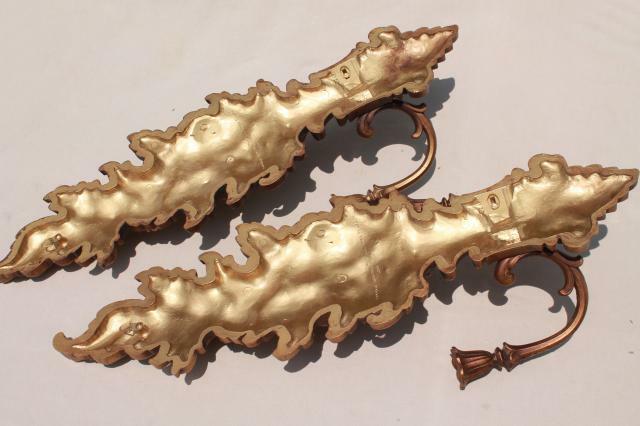 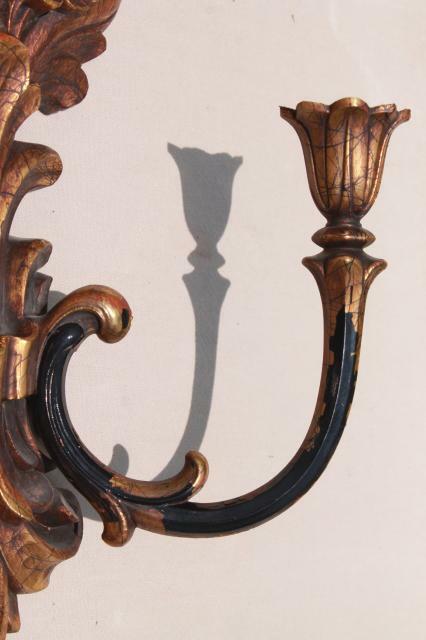 There's noticeable crackling and finish wear to the 'gold' on these pieces, but it doesn't really detract from the overall gothic antique style!